What a day in Valencia. Breakfast at 8:30 and then off to Fut Volley at an indoor beach, great fun. boys did great and had some good competition with each other. 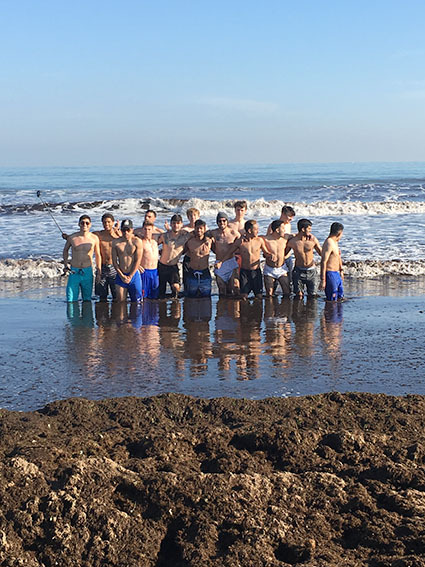 After Fut Volley it was off to a real beach and Valencia has some great beaches, even though its chilly, well about 60 degrees, and for those who are in Dallas with 10 degrees, sorry!!! I actually made the entire team get in the sea, the Mediterranean Sea, cold yes, but how often can you say you were in the Mediterranean Sea? So much fun to hear them scream like school girls, my side still hurts. 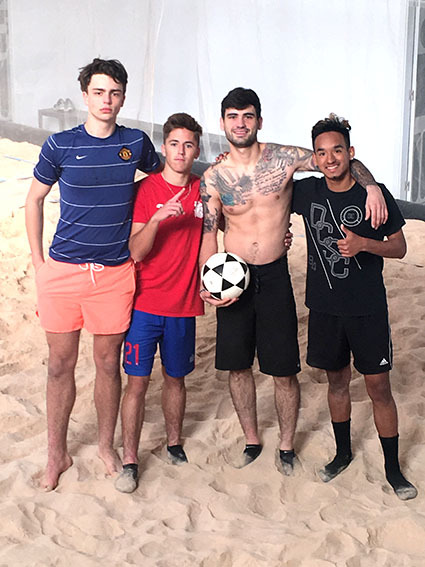 After they survived the chilly water, we spent an hour playing soccer on the beach or salvaging sea shells, just an awesome time. About 1:30 pm we bus to the Oceanografic, Europe's Largest Aquarium, and spend the next 4 hours there, also a great time. So cool to see penguins, sting ray, sharks, exotic birds, seals, turtles, walruses, etc. 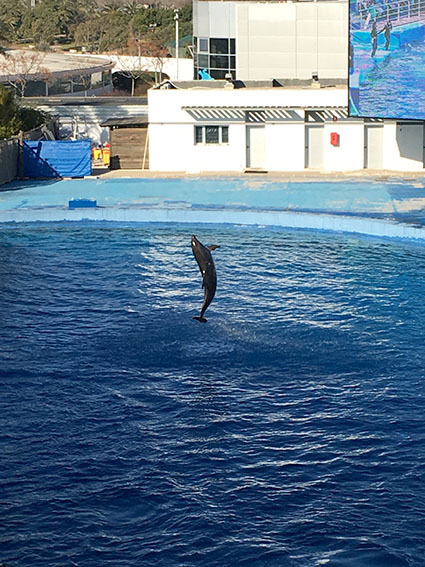 An aquarium is just a great place to be a kid, especially when you see the Dolphin show!!! Return to the hotel and most of us get a workout in at the fitness center while others do laundry and still others try and find a pick up soccer game in town. Dinner at 8:30, and yes the food here is amazing, no complaints from anyone. Just a great day today, awesome Saturday in Valencia, enjoy the pics.